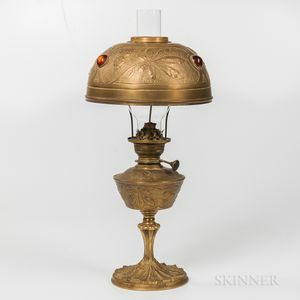 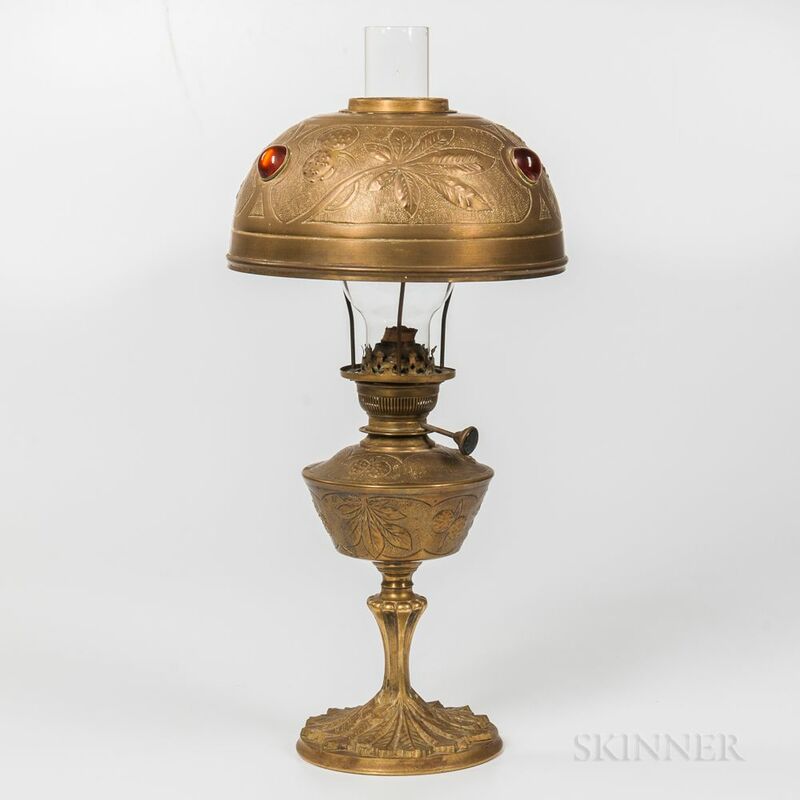 Georges Leleu-style Art Nouveau Oil Lamp, France, early 20th century, unmarked, ht. 20 in. Dent to foot of rim and tank.